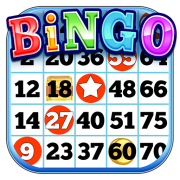 Come and help the Developmental Disabilities Service Organization (DDSO) host BINGO on Monday evenings from 4:30-10pm. - Runners to help out with selling drinks and tickets, etc. Depending on the position, times can vary. Set-up begins at 4:30, and the games begins at 6pm. All proceeds benefit the adults with disabilities that we serve! More opportunities with Developmental Disabilities Service Organization, Inc. Desire to have fun while volunteering!